The Agra Tech Sawtooth Greehouse is a low profile single slope truss. Heated air travels up the roof slope away from the plants. The two biggest advantages of the Sawtooth design are that it is easy to install exhaust fans mid-house in the vertical wall above the gutter and that it is designed with columns that can continue through the roof to attach an energy truss outfitted with an exterior curtain. 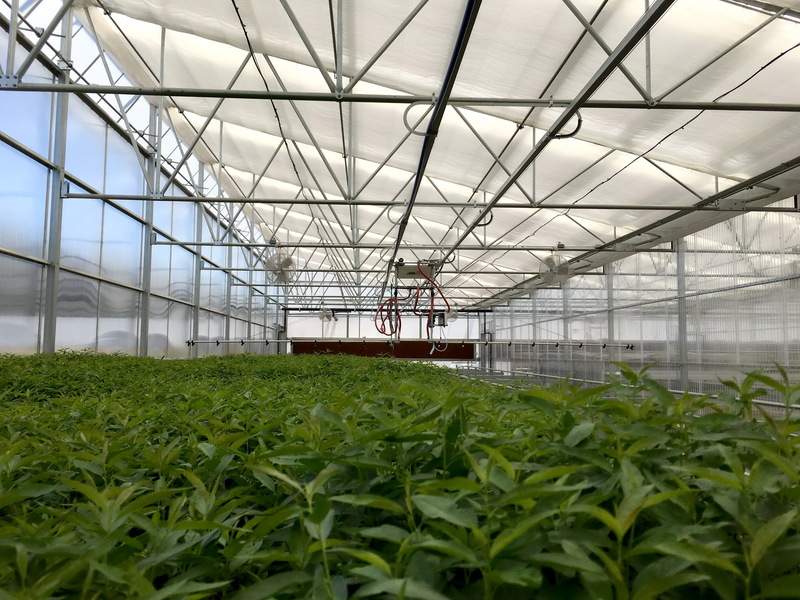 With a vent or opening wall on the windward sidewall and vent on leeward roof, excellent natural ventilation is achieved for happier plants and reduced cooling costs. Widths 30' & 32'. Other widths available upon request. Eave heights of 8', 10' and 12'. Other heights may be available upon request. Strong 4" square sidewall columns to handle wind loads.